Thank you for your time. ​Please sign up for our email list to stay updated with specials, events, news, and more. We look forward to continue building a better system from the grassroots up. If there is anything I can do to improve your experience please call me directly. Hi folks - my name is Will Mitchell and I was born and raised right here in Tenleytown, Washington, D.C. - aside from college at Penn State University, I have lived in DC my whole life. 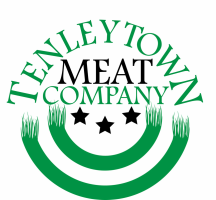 I am a rowing coach for Wilson High School in addition to running Tenleytown Meat Company. For years now, my interests have focused on sustainability and food and through that interest, I started to understand the harm of raising animals on "factory farms." I was inspired to be vegetarian but after some time saw a second way - building a better meat system from the grassroots up. I learned taking animals out of the CAFO setting and putting them back on pastures could do so much to reverse the negative trends associated with raising and eating meat, and since then have been working to understand how to build that transition to be as strong and swift as possible. Thank you for helping to support our mission and I look forward to road ahead!